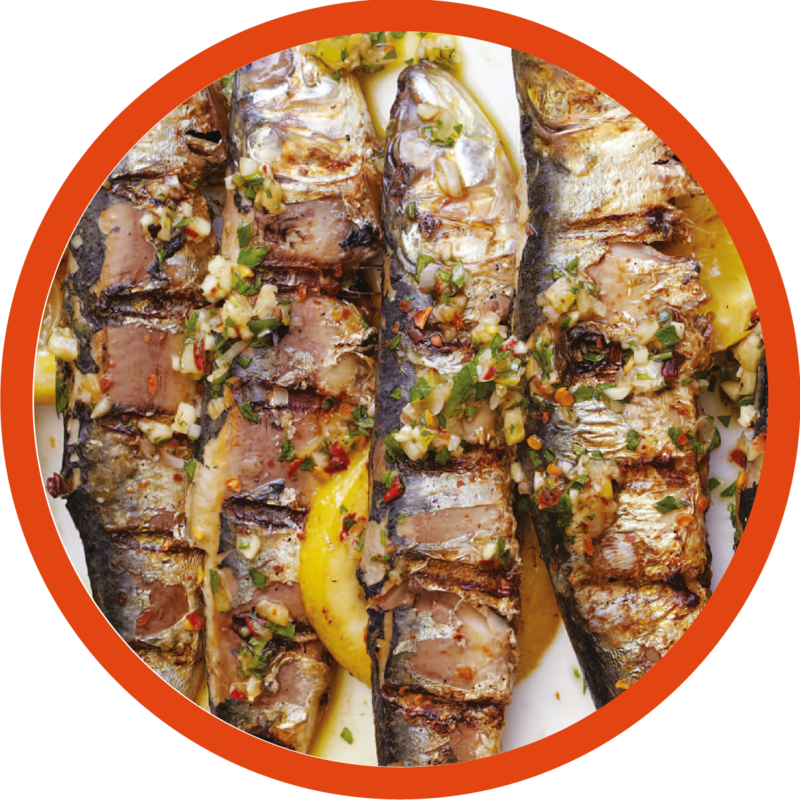 A classic summer dish of nutritious Sardines, marinated in garlic, lemon and herbs and grilled. Clean the sardines thoroughly, pat dry inside and out. In a bowl, mix lemon juice, paprika, black pepper powder, minced garlic, sea salt, parsley, coriander, spring onions and extra virgin olive oil. Whisk everything together and add sardines. Toss all ingredients together and keep aside. Heat grill or lit barbecue and arrange marinated sardines on grill. Pour remaining marinade over the sardines and grill until fish are cooked and nicely charred. Grill for 2-3 minutes on each side. Remove from grill and serve warm with lemon wedges.